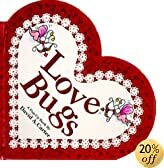 Valentine, heart, honey, log, beetles, leaves, berry, bugs, pound, coat, table. Read each word aloud to the students. Now pair the students and give them a cutout to illustrate. You may wish to display this on a bulletin board with a large heart cutout and the title "our Valentine Bears." 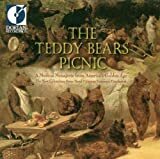 Play this CD while you complete the Activities in the book. 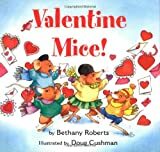 After sharing the book with your class, ask students to list the food gifts Mr. and Mrs. Bear gave each other for Valentine's Day, such as chocolate-covered ants and Crispy Critters. Next ask your students to think of other food gifts that a bear may enjoy. Record all responses. Purchase a bear or perhaps you have a stuffed bear laying around. Use the bear for different activities. Maybe Mrs. Bear will sit on a neat desk every AM when the children arrive. Also, you may encourage the children to read to the bear. See picture here of one class reading to their bear. Mr. bear enjoyed many great surprises that Mrs. Bear made for him. Have student volunteers describe how they would suprise others. Who would they surprise? How might the recipients react? How would your students feel if someone surprised them? Compare and Contrast how real bears vs. the pretend bears in the story might get ready for winter. Find a graphic of a bear. Cut out the bear and make many copies of it on card stock. Two bears per student in your class. Also give each student two cutouts of red hearts. On one heart write the word yes and on another heart write the work no. Have them cut out the bears and glue one heart to each bear. Then give them two crafts sticks to glue each bear. Now they are ready to answer some yes and no questions about the story. They can all respond at the same time using their bear puppets! In the story, Mrs. Bear made a sign and wrote a special Valentine thought, then hung it on the wall for Mr. Bear to see. Have your class do the same. To make a sign, provide each student with a large piece of construction paper or poster board. Have each student write or dictate his own special Valentine thought or message on the sign. Have each student decorate his sign with markers, glitter, and curling ribbon. Hang the signs for all to admirer! Print out a heart pattern at http://www.sacredspiral.com/crafts/heartorn.html Place it on card stock and then cut it to make a pattern. Use the pattern to make 12 red hearts out of construction paper. Write one of these words on a heart; heart, little, money, paper, crayons, fat, skinny, buy, zillion, make, silly, scissors. Discuss each heart with your class. Make a tree out of brown paper and hang your hearts from the tree. 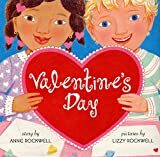 Add other hearts as you read the story and discuss words. Use this small heart pattern http://www.kinderart.com/seasons/poppy_heart.htm for center activities. Cut the heart in half and write a math fact on one side and the answer on the other half. Have students match the hearts. You could do this with rhyming words too. Place each center in a empty heart shaped chocolate box. Children will enjoy this very much! Activate knowledge your students have about Valentine's Cards. Have they made them before? What do they look like? Who do you give them too? Ask the students if they could think of a zillion people to give Valentine's to. This will be a good lead in to the story. Stop reading after you get to the part where all of Marvin and Milton's Valentines are sold. Ask small groups of children to brainstorm different ways the story might end. Encourage them to elaborate on their answers and then share them with the class. Show the children the pages of the story one at a time. Discuss all the Valentine's and how each was made. Then supply the class with a variety of art materials. Have each of the children design a card for Marvin and one for Milton. Display the cards. Milton and Marvin have a close friend in the story. Have your students state qualities of a good friend. List the qualities as your students state them. Print out the friendship sheet found at http://www.teachingheart.net/vdayfriendshipsheet.html . Hand out one sheet to each student and instruct the students to dictate or write a quality of a friend. Have the student illustrate his close friend in the box provided. load the dishwasher, dust, set the table, take the trash out, free hug,feed and wash the pet ........and what ever else you can think of. Here is a template you can print to have students make their own. Click here to print the sheets! Or you can go to http://kidexchange.about.com/kids/kidexchange/library/blvcoupon.htm to print out these finished Valentine coupons to give to a family member, a friend or a secret pal!! You can print all of the coupons at once or click on the graphic in the coupon to print the individual coupon.